I will start by saying: "It's not you, it's me". Yet, that really wouldn't be the truth. It IS you. That is why this letter is so difficult to write. We have known each other - well, I have tried to know you - for over 20 years. You altered my teaching life in the most dramatic way when I was a brand new teacher. In turn, you have changed my actual life - the Who I Am and What I Consider Beautiful and How I Respect Children. I am a better, more thoughtful and patient educator. I am a better narrator. I am a better photographer. You changed me and I will always be indebted to you for the gift of loving being an early learning educator. However, over all these years, the you that I understand has become something else to millions of others from around the world. You are misinterpreted and misrepresented. You are THE Approach to early education that nearly all who get a glimpse of you begin to introduce themselves by saying: "I am a teacher inspired by the values of Reggio Emilia". Who wouldn't be inspired by you? It is inconceivable to not be inspired by you. The Rights of Children, the Environment as Third Teacher, the Teacher as Researcher, the documentation, photography, natural materials, clay, community, food, light, dialogues...it is all so inspirational. And, we cannot forget The City. The city itself is so inspirational. Of course, nearly all who are inspired by you are not from Your city. Nearly all who are inspired by you only see the the hard work you have already done for over 50 years to offer these beautiful, respectful schools to your families. The people from around the world who say "I am inspired by Reggio Emilia" are often trying to "DO" Reggio. Isn't that sort of funny? And a bit sad? 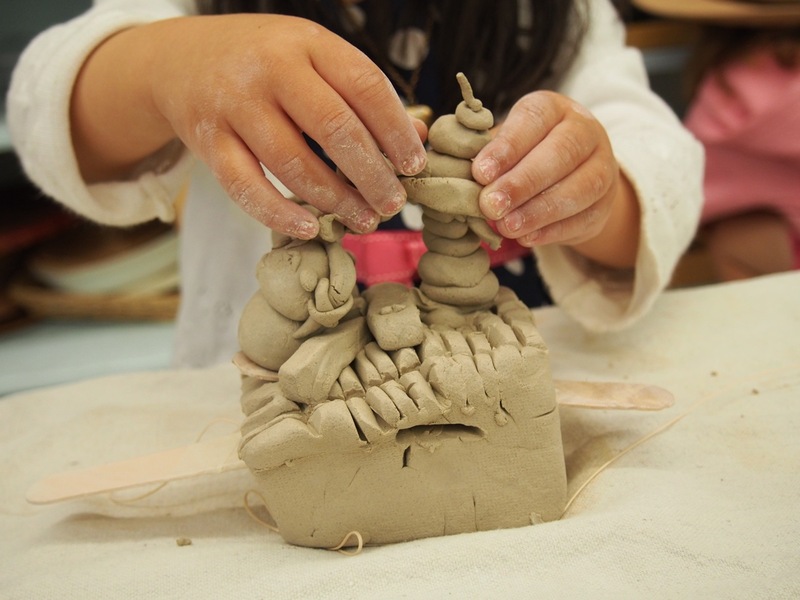 That the highest quality early learning center in the world - you, Reggio Emilia - that prides itself on representing its own community, art, language, and culture is being REPLICATED by schools around the world? What happened here? What is missing in the RE message that most believers in you allow their own Culture, their own Children, their own City to not be represented in their School? Isn't it leaning towards crazy that each educator that is replicating you has completely lost the true beauty of their own footprint, their own mountains, their own curvy streets that surely lead to wondrously glorious places? Within the blogging world, when I asked educators what they value about RE, they shared that the open sense of Time, the Respect for children, the Environment as teacher, the 100 Languages, the teacher and child as Co-Constructors were the keys. I believe in these educators. They do see the richest ideals of RE. Yet I also wonder how many other educators are forgetting to examine what is important to THEM. Rarely, if ever, have I seen or read educators flat out adding - stating for fact - their own ideals from their own school culture that they have weaved seamlessly into their mission. I feel like we - including me - are so dazzled by the inspiration of REA that we don't even consider incorporating our own beliefs or values. THAT is why I am breaking up with REA. I cannot teach in the beautiful school that I teach and keep seeing what is missing from the RE value set. I want to be committed to where I teach, what our school believes in, and fold in what our own educators choose are the values of our City and Community. This doesn't mean others should do the same, that's the point. Follow what makes sense to you. It's just that, for me, I realize being inspired by you, Reggio, does not let me see anything else. I have the same feelings, it's not replicating RE -it's taking the essence of the philosophy and transforming, transferring, transmitting that into your own society and environments. We criticise replication and exploitation with toys and other forms. Reggio is a great mentor - and something to inhale - but embrace your own locality - your own unique children - let the children embrace your openness and freedom. So beautifully said " Reggio is a great mentor" - I love that. Thank you for your comments. and NOW "welcome to REA" - now you have abandoned the product and now you are the process for your own journey, the group you work with, the place you work at - now the real adventure begins. NOW, by shedding the product you can begin to enjoy the process of where you are! I think it was always meant to be a friend, to guide you, to support you, to ask questions - you were never to be its twin, no-one is. The whole point of Reggio is to find your groove, to find the research. the techniques and the approaches that work best at your setting - with the culture, the children, the staff, the weather - every aspect that is both the same and different as the settings in preschool. I hope everyone understands this post for what it is... and lets hope it gives everyone the strength to start their own journey with a friend like REA and not cloning or trying to be the twin. Suzanne - Thank you for your thoughtful, generous, kind comments. We have become blogosphere colleagues over the last while and I appreciate you knowing what my message here is really saying. I will always be connected with REA - it is weaved into the fabric of my life. Dear Jeanne, I want to second what Suzanne just wrote. Your break-up is your yellow brick road and your path towards what we all know is the best way to translate this inspiration: make it your own. I was in Reggio last Spring and was often frustrated by teachers asking very silly questions. The time they spent paying attention to details was their hope to replicate. In Reggio we hear all the time: make it your own, own it, make it true to your place and to your community. You are not going anywhere, sweetheart! You are now in charge of the journey and I am sure it will be beautiful! Keep us posted!!! Adriana - You are spot on. My yellow brick road is clear and lifelong. I must admit, I am really not breaking up with RE - I just needed to put out that viewpoint to kind of try it on. Well, it certainly has received some lovely comments and it makes me probably more inspired by those of you who are kind enough to reply to me with good thoughts. Cheers to joy in any place one works with children. We learn, we glean, we adapt. At the Study Tour 2013 in Reggio this year Amelia Gambetti said just that....."we cannot replicate Reggio, everyone has a different community ". EC is a combination of many theories, and approaches, I think your teaching has an amazing quality from your study of RE and this transformed your values. I don't think your values of RE need changing but you will use those values to bring life to your community. I wish you well on your next journey, we are ever evolving, just as it should be. Urith - oh, you are poetic in your support of my journey and what RE means for many educators. I am transformed - exactly. Thank you. I loved this. You highlight many things from Reggio Emilia we too have admired and drawn on. However, forgive me for saying this, but I find it fascinating and perhaps telling that you have never actually been to Reggio. I have attended eight study tours to Reggio Emilia since 2003 and run my own pre-school called 'Reflections' in the UK. We have taken 10 educators to Reggio from our school in the last five years. At the end of my first study tour a good friend of mine, Linda Thornton shared a quote from Aldo Fortunati, which has never left me: "Trust in the richness of your own context." As one of the guiding principles of our journey, this quote has empowered us to draw on many other experiences and our approach at Reflections is a unique blend of wonderful UK traditions (including Susan Isaacs and others); our own approach to forest school; a busy edible garden; a love of the outdoors and yes, inspiration from the Reggio Approach. Try visiting Reggio: my guess is the first things they will share with you is that (i) they have nothing to teach you; (ii) that a 'Reggio' pre-school only exists in Reggio Emilia (and nowhere else); (iii) and you can and should trust in the richness of your own context. You'll still be friends. Martin - Your beautiful comments are greatly appreciated. I can understand your views and admire your passion for integrating RE into your own preschool. What a gift to your community! I look forward to reading your website/blog and learning more about your school. "Trust in the richness of your own context" is a rich guiding quote! To be clear, I have offered a more narrow view of my perspective of RE and its influences on me. I wanted the post to be as bare as it could be to draw up some discussion. This was a particular view of how RE is grabbed, tossed around and checked off as if it is something that can even be taken at all. With that said, I am in awe of the hard work of RE Children and NAREA that promote incredible, extensive workshops on socio-cultural adaptations for diverse communities. The broader scope of REA is not lost on me. I will likely write a follow up piece to my break-up letter to share my real, deeper view of the power of being inspired by something so stunning as A School in a City. I love this! I totally get what you're saying. From someone *very* new to RE and using the blogosphere as inspiration for Reggio-inspired education I understand! Rachel - Oh, I hope you remain inspired and in awe of the beauty of the schools and the wider community. RE is something that is - at the core - the best food for new educators. Read, read, read, watch video, stay in network groups, go to workshops, travel when you can. Take the RE journey and you will be a better teacher than you could be without it. It doesn't sound like you broke up with Reggio Emilia, it sounds like you are finally truly embracing it. Ohhh, so lovely. Embracing Reggio is a heart warming way to look at it. Thank you. You are kind. Even when I reread it, I find new things I want to say. I will be writing a follow up piece that truly shares my broader perspective on the deep, to the core, beauty of Reggio. I continue to learn from the Reggiani, but the most important thing I've learned from them is to find ways to serve the children in my own community as mindfully as they serve theirs. Sydney - Thank you for your comments on responsiveness and "serving the children in my own community as mindfully as they serve theirs." Beautifully said. I look forward to checking out your site. I had some moments like yours in the summer while I was getting ready for the school year. I'm getting a bit exhausted with the labels that everyone craves. On the other hand, it is hard to describe an educational approach without sharing some of the history that has inspired us. It is so important that centers reflect their own culture and community, and celebrate those things. Just because drawing in Reggio is done with black felt tip pens does not mean that is the material that works best at home. Your post is a reminder that we need to reflect on our school communities: what they truly are and, yes, what we want them to be! We can have values and ideals, but those should come from the work of children and adults together, not from a city across the world. Our spaces might not look like the ones in the pictures and the books, but they can be beautiful and feel even more important to us. Thanks again for a lovely post! Thank you for sharing this! I understand this post, and the comments very well, and appreciate it. When a group from my school visited Reggio in 1999 or so, we stayed in a house in Switzerland for a week trying to come up with questions to go into the Winter institute with. I was in a group that devised a question which we would ask in a private meeting. The question was basically "what comes next?" in project work. We understood provocations, observing, reflecting, bringing work back to the children...but then what? I think what we secretly wanted to know was exactly what to do in a project, and what to do for every day and for every moment of working with children- maybe we hoped for a recipe. The answer was, basically, 'if you listen, then reflect and respond and listen some more, you'll see what to do'. I often think how naive I was then, and how little I understood documentation and "proggetattzione". It must have been pretty cute, these earnest babies and their questions! They are so gracious, but said and still say over and over again to consider the context. But people sometimes don't do that. So I do appreciate these words from an educator who has researched and practiced, discussed and reflected for so long. But what if this means, for teachers here; don't try? That's what I worry about. I love this, Jeanne. We do ourselves and our children a dis-service when we label everything and pigeon-hole ourselves into a small niche when there are so many wonderful philosophies and methods for teaching to inspire us. Thank you for sharing on my wall today. Thanks for reading, Jackie! Yes, the pedagogies that educators choose to follow and be inspired are what makes teaching so rewarding! This is such a wonderful and thought-provoking post. I must admit, the first time I read it I was a little dismayed, since I, like Rachel (above), am still very new to RE and voraciously devouring all I can about it. But each time I have reread it since, I am struck by how much I actually understand and commend what you are saying here. I don't want to waste time stuck in the trap of trying to exactly replicate what I see in the beautiful photos and books that I've been reading, even though I do see many people doing exactly that. I think it can be so easy to get swept up in all the aesthetic beauty that you miss what's actually going on...if that makes any sense at all. The more I read and reflect, the more my ideas about RE and more importantly, what it means to me and my own children, evolve and (hopefully) mature. Thank you for your wisdom and honesty.